Rodney H. Scaife currently serves as the Chief Human Resources Officer for Aerotek Inc., a leader in the Recruiting and Staffing Industry, and is responsible for all aspects of Human Resources for the company. In this capacity, he leads the development of the company’s People Strategy and Strategic direction of its Human Capital Initiatives. Prior to Aerotek, he was with Freddie Mac, where he held the position of Senior Director of Human Resources, a Lead HR Business Partner role supporting the Divisions of Human Resources, Corporate Services, Operations & Technology and the offices of CEO & COO. Prior to Freddie Mac, Rodney spent over five years with Internet giant AOL as a Global Human Resources Business Partner and Director of Global HR Solutions & HR Program Delivery. His professional career has spanned over 20 years and taken two paths; 15 years in various Sales and Operations leadership positions, with Keebler Company, Pepsi-Co, and Footstar Inc. before moving into the Human Resources Discipline. Rodney holds a Bachelors degree in Business Administration from Delta State University and completed his Executive Education studies at Cornell University, focusing on Strategic Human Resources. He is a member of The Society for Human Resources Management (SHRM), National Association of African Americans in Human Resources (NAAAHR), and the National Football League Players Association (NFLPA). 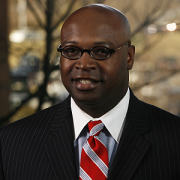 Rodney serves on the Board of Directors for The Metropolitan Chorus in Arlington, Virginia and for the National Association of African American in Human Resources, Washington DC chapter.